Jessica Berry astounded us in the “Beowulf‘s Literary Hoard” class by her translation and presentation of the Nine Herbs Charm. 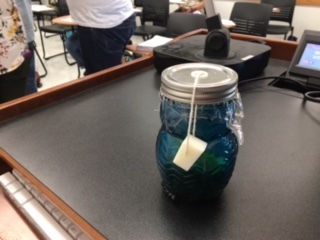 Not only did she accomplish a lovely rendering into English, but she presented every student (and me) a jar with a skin product made from all the elements. Jessica certainly enchanted us with her work!